Here are some celebratory events as well as green events in Toronto, Ontario, Canada. Green Neighbours 21 provides us info on the following green event in Toronto. November 9, 2013: 12pm-4pm at Committee Room 2, Toronto City Hall, 100 Queen Street W.
November 12, 2013: 6pm at Runnymede Public Library, 2178 Bloor St. W.
On November 9 and November 12, there will be screenings of the Gasland II. Discover exactly what is at stake with practices of fracking, including its effect on our land and water, but also on our democratic system. Visit http://www.green13toronto.org/event/gasland-part-ii-free-screening-and-discussion for more information. On November 9, after the film, hear speakers from Ontario Clean Air Alliance, Environmental Defence, Council of Canadians, and the filmmakers responsible for this important documentary. Also, on November 9, Emma Lui, Water Campaigner with the Council of Canadians turns our attention to concern about a pipeline extension project for Toronto. Within the month, the Ontario Energy Board will make a major decision about piping fracked gas to Toronto for distribution in southwestern Ontario and Quebec. Enbridge Gas Distribution and Union Gas are petitioning the Ontario Energy Board for new and expanded natural gas infrastructure in the Greater Toronto Area. The last day of hearings on this is Friday, November 8. She warns that if this project is allowed, it will increase fracking in Pennsylvania. If the application is approved, millions of people will be relying on imported fracked gas from the U.S. Marcellus shale by 2015. The approval could open the door to more fracking of the Marcellus shale posing serious risks to the Great Lakes Basin with massive water withdrawals, potential water contamination and pipeline leaks and hazardous waste risks. In addition to being a major threat to Great Lakes communities’ water and air and contributing significantly to climate change pollution, this approval would lead to higher heating costs for Ontario and Quebec residents. Lui has shared with us the following links which you may want to check out before the screening. Three out of three experts agree: a frack pipe is the last thing Toronto needs http://www.canadians.org/media/three-out-three-experts-agree-frack-pipe-last-thing-toronto-needs. Here is the link http://www.canadians.org/action/ontarians-say-no-frack-pipe to send a letter to Ontario Premier Kathleen Wynne. Please pass this to your friends, family and colleagues. This action alert is directed at Ontarians but we encourage you to fill this out regardless of where you are because this decision could have a serious impact on the Great Lakes as a whole! You’re Invited: Toronto Municipal Employees’ Singing Contest for United Way Campaign Sept.11, 2012. Above, Nathan Phillips Square. 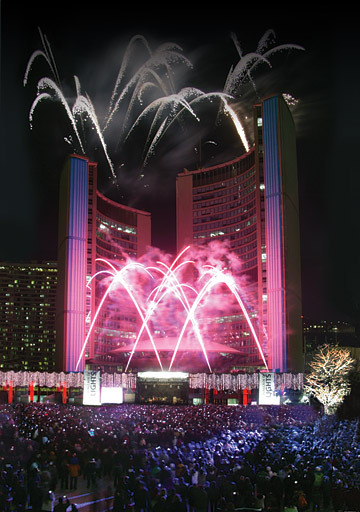 Itinerary of the Cavalcade of Lights: Free Fantastic Event! Tomorrow, Toronto will start off the holiday season with a spectacular celebration at the Calvacade of Lights. Cavalcade of Lights is produced by the City of Toronto and sponsored by Scotiabank. Canadian Tire is this year’s Lighting Display Partner. Queen or Osgoode subway station. Toronto is Canada’s largest city and sixth largest government, and home to a diverse population of about 2.6 million people. It is the economic engine of Canada and one of the greenest and most creative cities in North America. 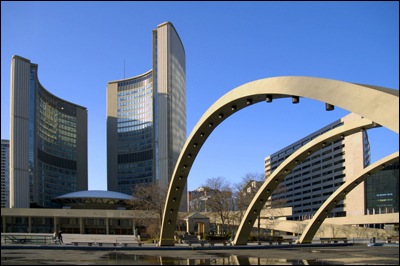 Toronto has won numerous awards for quality, innovation and efficiency in delivering public services. Toronto’s government is dedicated to prosperity, opportunity and liveability for all its residents. For information about non-emergency City services and programs, Toronto residents, businesses and visitors can dial 311, 24 hours a day, 7 days a week. Author editorPosted on November 26, 2010 Categories Community, Frugal CrowdTags calvacade of lights, debbie travis, divine brown, dj tony sutherlenad, fireworks in toronto, ingrid schumacher, kevin frankish, nathan phillips square, sarah slean, shawn desmanLeave a comment on Itinerary of the Cavalcade of Lights: Free Fantastic Event!